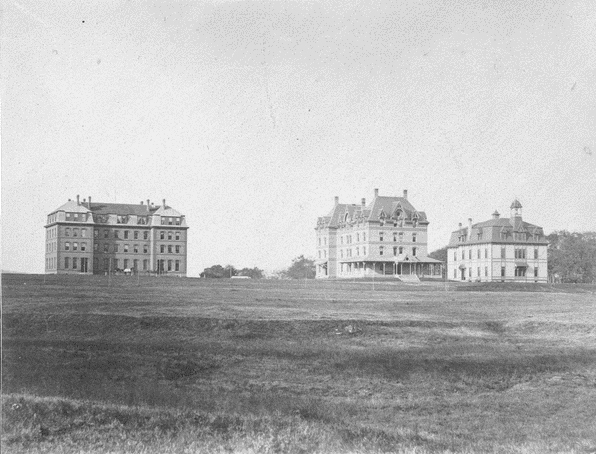 First three buildings constructed on campus of Mass. Agricultural College. Date unknown. Courtesy Special Collections and University Archives of the W.E.B. Du Bois Library at UMass Amherst. These three buildings are, left to right, South College, North College and the Old Chemistry Building.